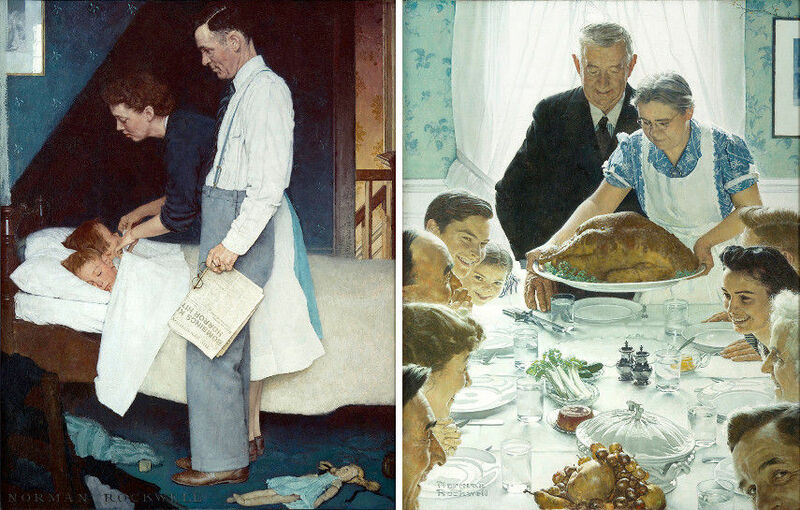 75 Years of Norman Rockwell's Four Freedoms. How Are They Still Relevant Today? 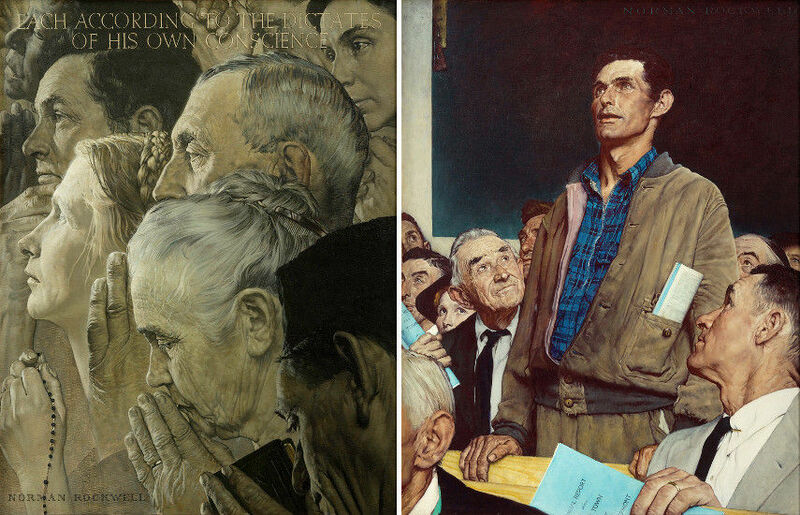 Although they are now regularly described as true cornerstones of American art, there was a time when Norman Rockwell’s Four Freedoms paintings were nothing more than a series of illustrations paying homage to President Franklin Delano Roosevelt’s iconic speech about civil rights made in 1943. With the goal to analyze how these artworks eventually helped spark a full-blown national movement, an international seven-city tour of Rockwell’s Four Freedoms was organized, while the New-York Historical Society was chosen as the first location of the touring exhibition. Titled Rockwell, Roosevelt & the Four Freedoms, this show primarily features Rockwell’s pictorial interpretations of President Roosevelt’s Four Freedoms: Freedom of Speech, Freedom of Worship, Freedom from Fear and Freedom from Want. Organized by the Norman Rockwell Museum in Stockbridge, where the tour shall culminate in 2020 after traveling to five U.S. cities and a venue in Normandy, the exhibition sheds light on the historical context behind the iconic images and examines how Rockwell’s 1943 paintings united the public behind Roosevelt’s call for the defense of universal human rights. Norman Rockwell’s iconic images remind us of the significant role his work played in inspiring Americans to embrace Roosevelt’s call to protect freedom around the world. Not only did these works play a pivotal role in preserving American freedom, but they also managed to capture the fabled spirit of American harmony in a way that remained unprecedented to this day. Emphasizing the shared role all four paintings played in lifting American spirits, the curators behind the show arranged the four artworks in a way they face one another in an octagon. 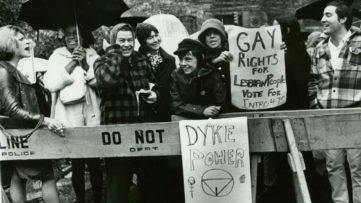 The first, Freedom of Speech, is the only piece that was based on an actual event. It depicts a man making his voice heard at a town hall meeting. Freedom of Worship shows several heads bowed down in prayer. Freedom from Want depicts a joyful Thanksgiving dinner. Finally, Freedom from Fear features two children as they are being tucked into bed by their parents. Although nobody initially saw them as such, these four paintings ultimately played a pivotal role in defining the spirit of both American art and way of life. Rockwell, Roosevelt & the Four Freedoms is presented in five thematic sections. It features paintings, drawings and other original artworks by Norman Rockwell, but it also presents works by some of his similar-minded contemporaries. The show is also an opportunity to see historical documents, photographs, videos and artifacts of immense value. The visitors of the exhibition start their experience with a section called The War Generation that looks at the political and socio-economic backdrop against which President Roosevelt articulated the Four Freedoms. The second section of the show, titled FDR’s Freedoms, examines Roosevelt’s announcement of the Four Freedoms as one of the main reasons USA entered World War II. The third section of the exhibition, called Artistic Response to the Four Freedoms Ideals, carefully documents the government’s attempts to foster Roosevelt’s ideals to the public by encouraging artists to interpret his speech through their artworks. The fourth section, Rockwell’s Four Freedoms, investigates how Norman’s four paintings came to be embraced by millions of Americans. How Relevant Are the Four Freedoms Today? Rockwell, Roosevelt & the Four Freedoms concludes with a section titled Freedom’s Legacy. 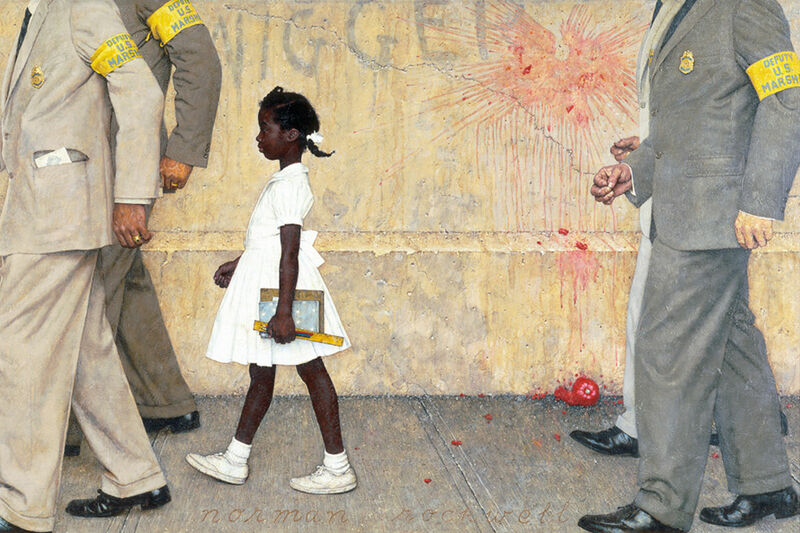 This segment of the show highlights Rockwell’s focus on human rights. 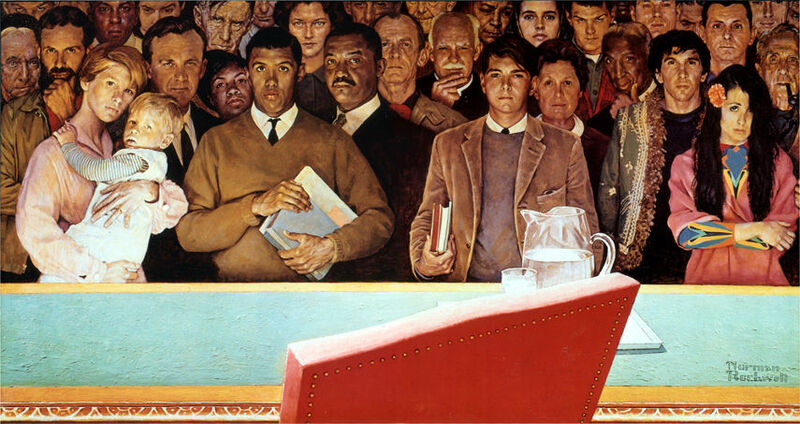 Besides providing an opportunity to see Rockwell’s complex composition for the United Nations artwork, this section makes viewers think about just how relevant the idea of four basic freedoms is nowadays, exactly 75 years after Rockwell’s paintings were reproduced as posters for the Saturday Evening Post. Despite all our advances, a strong case can be made that we’ve forgotten many aspects of what Rockwell and Roosevelt identified as central to human dignity in the era of World War II, which is, quite honestly, tremendously concerning. The Rockwell, Roosevelt & the Four Freedoms exhibition is accompanied by a fully illustrated catalogue featuring essays on a range of related cultural and artistic themes, all written by prominent figures of the art world. Titled Enduring Ideals: Rockwell, Roosevelt, and the Four Freedoms, this catalogue brings forth a broad historical perspective to both Franklin Delano Roosevelt’s Four Freedoms and their powerful depictions by Norman. The 240-page volume, with 120 mostly color illustrations of work by notable artists, sheds light not only on Rockwell’s paintings themselves, but also on the context of their creation. Sure, the Norman Rockwell Museum conceived the Rockwell, Roosevelt & the Four Freedoms show in order to commemorate the 75th anniversary of the Freedoms. However, the curators also wanted to tell the story of how Norman’s paintings proved to be arguably the most enduring images in the history of American art, having an impact that’s as strong today as it ever was despite their 75th birthday passing by. The touring Rockwell, Roosevelt & the Four Freedoms exhibition’s first location is at the New-York Historical Society, where it will be open for public viewing until the 2nd of September 2018. Enduring Ideals: Rockwell, Roosevelt & the Four Freedoms is the catalog for the first comprehensive traveling exhibition devoted to Norman Rockwell’s iconic depictions of FDR’s Four Freedoms. Enduring Ideals illuminates both the historic context in which FDR articulated the Four Freedoms — freedom of speech, freedom of worship, freedom from want and freedom from fear — and the role of Rockwell’s paintings in bringing them to life for millions of people, rallying the public behind the World War 2 effort and changing the tenor of the time, a time when the world was just about to be engulfed in the flame of combat. Featured image: Norman Rockwell – The Problem We All Live With, 1963. Oil on canvas, Illustration for Look, January 14, 1964, Collection of Norman Rockwell Museum. 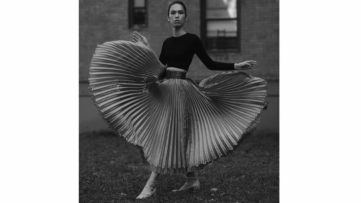 All images courtesy of the New-York Historical Society.